I’m still on an avocado kick. Ok, to be fair I may be on a self-imposed avocado kick. I bought too many of the fruit last week and as it goes, my avocados went from solid rocks you could commit (tasty) murder with, to too ripe in zero to sixty seconds. So what was I to do with all of my overripe avocados? I really didn’t want to throw them away. 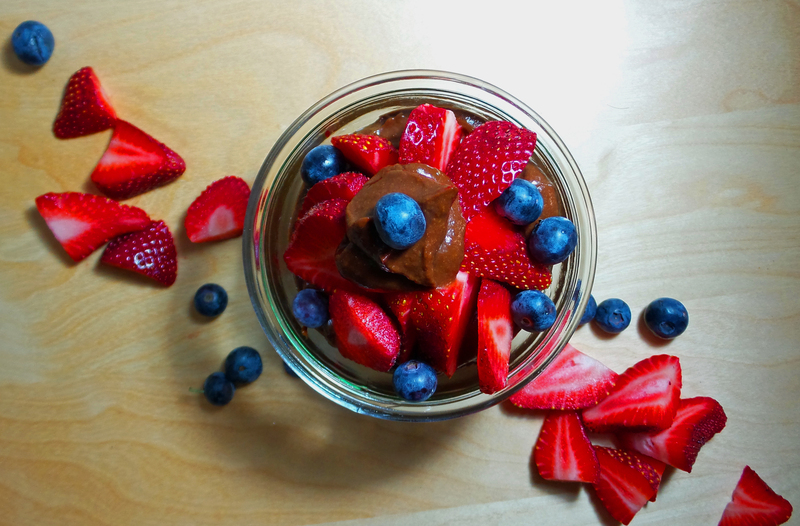 With the help of some carob powder that has been sitting in my pantry, unopened, for a bit, I came up with a solution–carob avocado mousse. I promise it doesn’t taste like weird chocolate avocados. The avocados lend this dessert its mousse-like consistency, the bananas add some sweetness and mask the avocadoiness (ok, I know it’s not a word) that the carob can’t and you are left with a creamy, carob-y dessert that will be hard to keep around in your fridge. Here I use carob because it is higher in calcium, has no caffeine (I’m immune, some friends are not) and is less bitter than cocoa powder–if you can’t stand carob (like my mom, I still don’t understand it) you can substitute cocoa powder but you may need to up the sweetness a bit. Not only do I like this recipe because it tastes good, but it is also not bad for you–at least as far as desserts go. I love a lot of vegan sweets but sadly, despite some of the great nutrients they often contain, they are also often high in calories and fat. This dessert has about as much calories and fat as an individual container of greek yogurt while still feeling decadent. 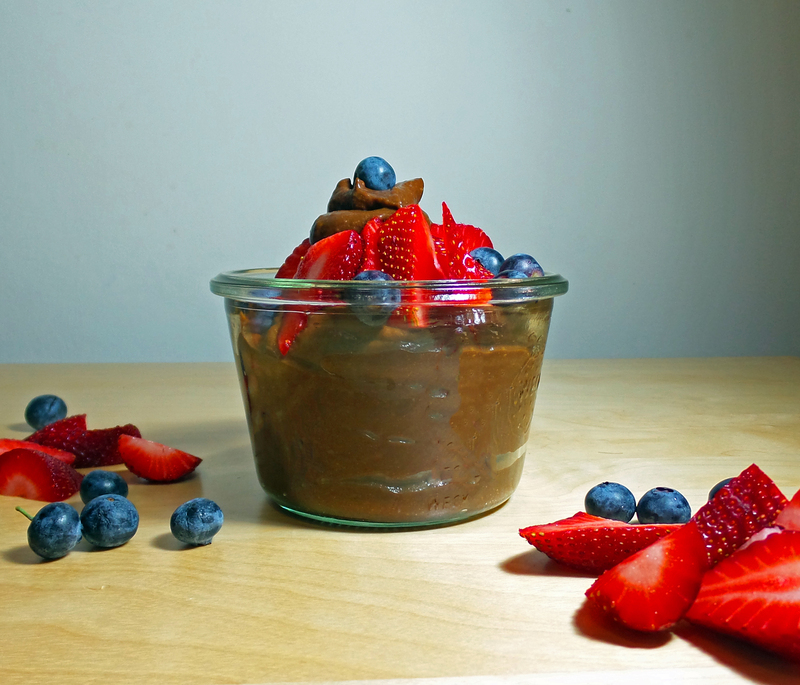 For the Mousse: Combine all of the ingredients into a food processor and blend until smooth. Serve with your favorite fruit. Makes 8 servings (1/3 cup each). This entry was posted in Dessert and tagged avocado, banana, carob, dairy-free, gluten-free, healthy vegan dessert, mousse, soy-free, too many avocados, too ripe avocados, vegan. Bookmark the permalink. I would keep in in the fridge for 3 days. You could also freeze it and eat it as a frozen dessert, and then it will keep for much longer.